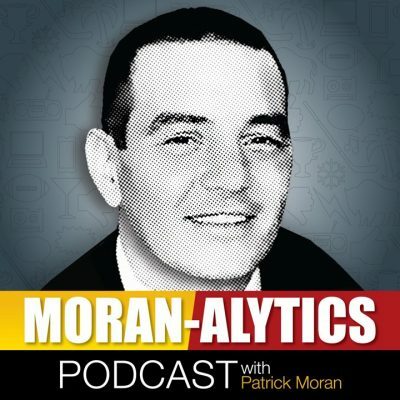 On this episode of the Moran-Alytics Podcast, Patrick Moran has an interview with Tampa Bay Bucs rookie defensive end and Buffalo, New York native Demone Harris. After spending the first five weeks of his rookie season on the Tampa practice squad, Harris was promoted to the active roster and made his NFL debut this past Sunday in Atlanta. He provides perspective on the experience and seeing on the opposing sidelines stars like Julio Jones and Matt Ryan as well as a guy he considers a mentor, Steven Means. The two also discuss Harris not being drafted this past April but grateful for the opportunity to go to Tampa and his feelings when he was initially waived before being brought back the next day to the team’s practice squad. They talk about the culture change of living in Tampa after previously being in Buffalo his entire life. Immediately after that interview concludes Moran is joined by Tone Pucks for their “Pat with Pucks” segment. After watching the Buffalo Bills blow a game Sunday in Houston they could’ve easily won, today the two are wondering if Nate Peterman’s Bills career should be over for good. They also discuss if Sean McDermott should put Josh Allen back in the lineup as soon as he’s physically able to go or if the Bills head coach should reverse course and determine the rookie would benefit from spending multiple weeks on the sideline learning. McDermott’s performance as coach, Bills special teams and Kelvin Benjamin are among other Bills topics on the table. The two end with quick hits on the Buffalo Sabres and MLB playoffs before Tone uses his Puck Drop to obliterate the UFC. Follow Patrick Moran on Twitter @patmorantweets and “like” the Moran-Alytics Facebook page. © 2019 MoranAlytics.com All Rights Reserved.